When searching for any solar systems Boulder does have the perfect solution that is going to be able to satisfy all of your needs. 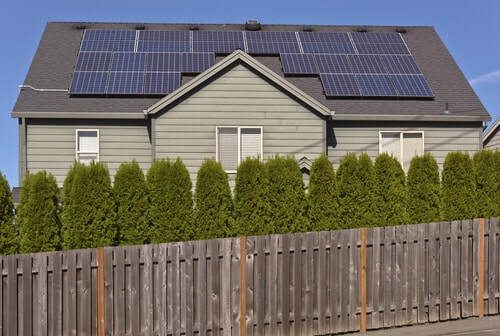 That solution is Flatiron Solar, and with a number of years of experience in the industry, we have the skills that you are seeking when considering converting to solar power. Here at Flatiron Solar, we understand that trying to select the correct solar power system is not easy. In fact, there are so many different areas to take into consideration that it is all too easy to end up with the incorrect system that it just unable to satisfy your needs. However, by simply contacting us it means that this will no longer be an issue. Solar system installation is notoriously difficult, but our experience means we can swiftly move through any impending issues and deal with them in a professional manner. From the amount of energy that you wish to generate, to the location of the panels and also your budget, our team of engineers will work with you every step of the way. Furthermore, the average solar system cost has also improved in recent years due to advances in technology, but we will advise you on what is available no matter what budget you have set aside. Also, do not think that you need to spend big in order to get the kind of return that you were hoping for. Instead, thanks to those improvements in the technology, it means that fewer cells are now required to get the same results meaning those solar panels are no longer going to take up a substantial area around your home. Upon contacting us, we will seek to arrange a time to come out to you personally and look at your location. In doing so, it provides us with the perfect opportunity to just ascertain what option is going to work best for you as it is always our intention to solely deliver the perfect solar system for every single customer. In addition, we accept that there is no one single solution that is perfect for every eventuality, so each option is tailored to fit in with your individual needs meaning you achieve a substantially higher return on your initial investment. We first will perform a roof inspection and home inspection to determine the best solar solution for your home. So, if you live in the Boulder area and are indeed contemplating solar energy, then take that all-important first step and give us a call here at Flatiron Solar. In doing so, you will be opening up a door to countless possibilities with solar power as well as being able to lean on the experience of a company that is indeed the best in the industry. Solar power is exciting, and it is more affordable than you would care to imagine so allow us to show you just what exactly is possible and allow us to bring your energy needs into the future.